I do encourage you to take a look at the real revenue of those types of businesses and you will be surprised to see how low their income is. Those trendy niches are so low so that they bring even less money than a real part-time job. The mainstream media make people believe that those niches can be profitable and that women are wonderful entrepreneurs who make a lot of big bucks. 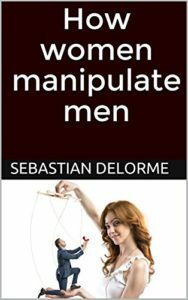 The mainstream media manipulate men by making them believe that housewives can find profitable businesses that significantly contribute to the household’s finance. Media present women as being successful but media never talk about money. A woman may tell a story to make the situation acceptable to her husband who works from 9 to 5 every weekday. When a man earns 3 times what the woman earns, the situation is close to when a woman has no income at all. We observed a scheme in this sort of relationship. the woman with low income has a project (Youtuber, online shop owner, Yoga lessons, Ayurveda lessons, herbal teas…) that will not be profitable but he does not know it. Then, something happens that modify the situation. She gets pregnant and has a child. At this point, the man is not concerned about the fact that his woman has no job. He will not likely ask the mother to find a job just after she had a child. Thanks to the childbirth, the woman gets rid of the responsibility to contribue to the household finance. As the child grows up, the man gets a better job position and better pay. In this case, she is not pressured to go back to work. Since the mother takes care of her child or children, he is not likely to ask her to go back to work. I have noticed that hardworking women who worked before giving birth and after giving birth aren’t valued enough as compared to women who didn’t really worked before and after giving birth. However, women who work significantly contribute to the household finance. The income difference between a woman who has a full time job and a woman who hasn’t a real job is huge. In France, I have calculated that female freelancers earned 3 times less money on average than women with a full time job. Now let’s talk about the consequences of sharing your life with a woman who earn little money. If you are married, you are going to give up a big amount of money that you saved thanks to your work in case of a divorce. When you will be retired you will not have a lot of money available for your wife and you. She benefits more from the relationship than you. When she asks to buy something it means that you finance it. You are the bank.